Even people who have absolutely zero interest in sports the other 11 months of the year know these terms. March Madness means everyone has a chance. Well, at least the 68 teams picked for the tournament. Outside of the Super Bowl, it’s easily the biggest sporting event on the calendar. Brackets (and office pools) give all of us a chance to take part. The current 68 team format is implemented for the men’s NCAA March Madness tournament. The phrase “March Madness” is used in reference to the NCAA tournament for the first time by CBS broadcaster Brent Musburger. The NCAA holds its first women’s national March Madness tournament. The first ever men’s NCAA tournament is held. March Madness means parties. With games being played all month long just pick a date when your favorite team is playing and invite some friends over to watch the game. Many fans will prepare basketball or college-themed food and drinks or decorate with basketball themed decorations. No March Madness celebration is complete without brackets. Usually filled out among offices or groups of friends, brackets are a great way to make March Madness even more interesting. March Madness is unpredictable, so sometimes the strangest predictions can come true! Watching the games is an important part of celebrating March Madness. Pick a team to root for and join in on the fun, before you know it you will be cheering along with millions of other fans. Who doesn’t love an underdog story? March Madness utilizes a seeding system that sets the stage perfectly each year for an underdog to upset a highly ranked team. Even if you aren’t an avid fan of college sports or basketball it is easy to root for a team that no one saw coming. March Madness is great opportunity to rekindle some passion for your old alma mater. 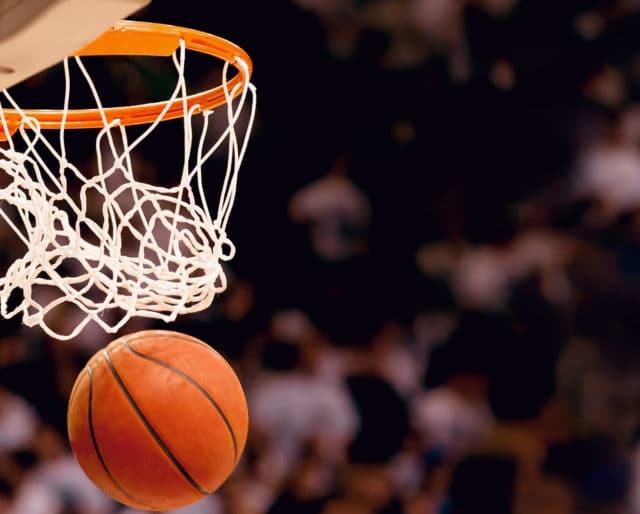 With so many teams involved in the men’s and women’s tournaments, odds are you’ve either attended or have some type of connection with at least one school in the tournament. Dust off that old college sweater and support your school! One of the most exciting aspects of March Madness is its single elimination format. Each team is playing for their lives in the tournament so every game matters. Even if you aren’t familiar with any of the schools playing in the tournament, it is easy to get invested when every game feels like the finals.